PBS ON TOUR C.J. Chenier and The Red Hot Louisiana Band Season 9 Episode 18 | 28m 46s Clayton Joseph (CJ) Chenier, the son of the great “King of Zydeco," Clifton Chenier of Texas, first performed with his famous father and the legendary Red Hot Louisiana band in 1987. 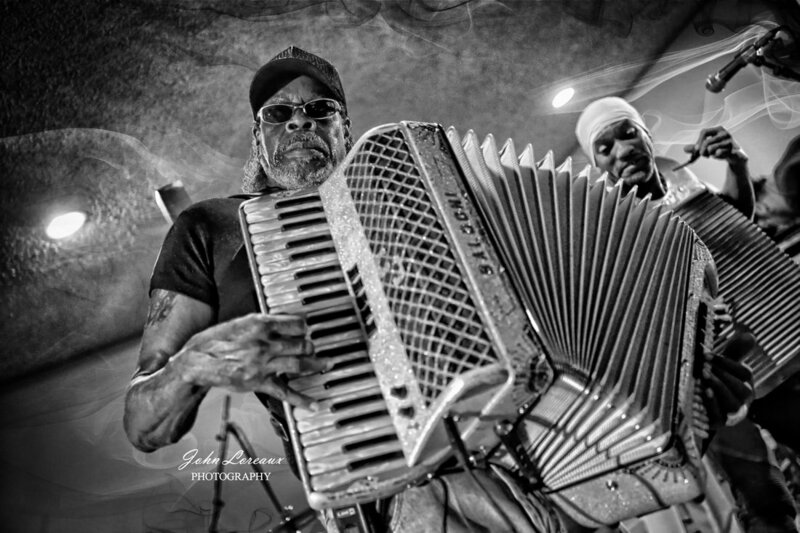 Chenier now extending his father’s legacy as band leader, commands the accordion performing a variety of zydeco, Cajun and Creole music. We explore the unique Louisiana culture, and its rich musical history. ...the bottom line is when you’re going to a Zydeco, you’re going to a party. There's gonna be a whole lot of dancing and a whole lot of eating and a whole lot of sweating! And you're gonna have a good time. , Creole-born C.J. Chenier was raised in an indigenous American culture with its distinctive language, cuisine and music. He delivers soulful vocals along with masterful accordion driven Zydeco and Blues. Chenier, a GRAMMY® nominated world renowned musician and recording artist, has performed alongside many internationally recognized artists including his GRAMMY® awarded father, Clifton Chenier (“The King of Zydeco”), Paul Simon, Joe Sample and Ray Parker, Jr. He appeared on the Jon Stewart Show, CNN and was featured on VH1 and Entertainment Weekly. He has exhibited his musicianship at many large festivals and venues such as the New Orleans Jazz & Heritage Festival, Chicago Blues Festival and Austin’s SXSW Music Conference. In addition to his GRAMMY® award nomination in the Best Regional Roots Music Album category, C.J. has received many major awards including the Living Blues Critics’ Poll Award, Indie Award (from AFIM) for Best Zydeco Album, Coups de Coeur (Blows of Heart) Blues Category Award from l'Académie Charles Cros (France) and Best of the Beat Best Zydeco Album (Offbeat Magazine). ​ CJ and the Red Hot Louisiana Band will have you up on your feet dancing in no time.